Brazos Valley Allergy & Asthma Clinics are located in the south central Texas region, and provide professional allergy, asthma, and immunology services to clients at six locations throughout the Brazos Valley. Dr. Paul Jantzi, a board certified allergist and immunologist, sees patients at office locations in Bastrop, Brenham, College Station, Columbus, Giddings, and La Grange. Bellville, Bleiblerville, Cat Spring, Industry, Kenney, New Ulm, Sealy and Shelby. Bastrop, Cedar Creek, Elgin, McDade, Paige, Red Rock, Rosanky and Smithville..
Benchley, Boonville, Bryan, College Station, Kurten and Millican. Caldwell, Chriesman, Clay, Cooks Point, Deanville, Lyons, New Tabor, Snook, Somerville and Tunis. Alleyton, Columbus, Eagle Lake, Frelsburg, Rock Island and Weimar. Carmine, Fayetteville, Flatonia, Freyburg, La Grange, Ledbetter, Muldoon, Plum, Round Top, Rutersville, Schulenburg, Warrenton, West Point and Winedale. 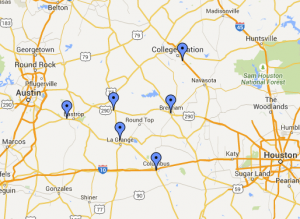 Anderson, Bedias, Iola, Navasota, Plantersville, Richards, Roans Prairie and Shiro. Dime Box, Giddings, Lexington, Lincoln and Serbin. Madisonville, Midway, Normangee and North Zulch. Brookshire, Fields Store, Hempstead, Prairie View and Waller. Brenham, Burton, Chappell Hill, Independence and Old Washington.